Where do I get Footloose? 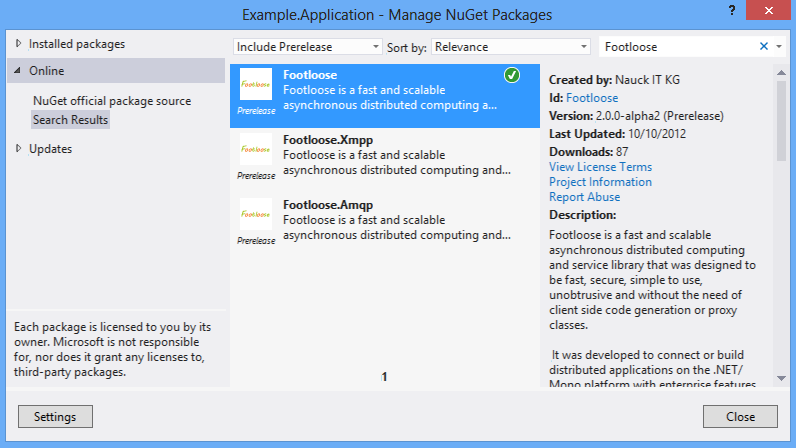 Footloose is distributed with the popular NuGet Packaging Manager. This will make it easier for developers to get the Footloose distribution into their project. 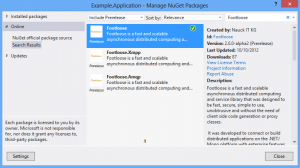 The Footloose distribution is separated into several packages to avoid unneeded dependencies in your projects. You can just install the packages you require. 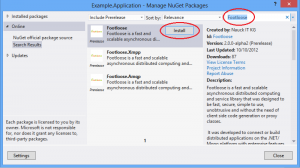 NuGet provides several ways to get Footloose into your Project. The easiest way is to right click your project references in Visual Studio and choose the menu item “Manage NuGet Packages”. Search in the “Online” tab for “Footloose” and click “Install” on your selected packages. 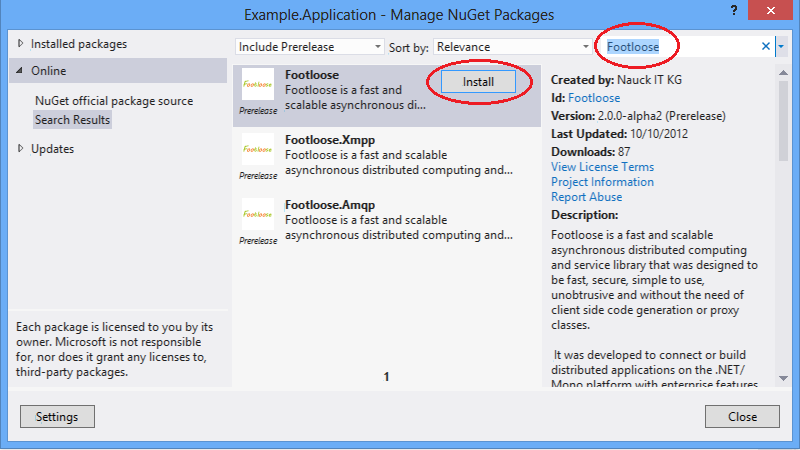 It is also possible to install the Footloose packages via the “NuGet Package Manager Console”.